Well we all made it back after our Christmas Break, JPP only closed our office for a short break this year, which meant we were kept busy, A couple of holidays were had & some good times were celebrated by all, It was great to catch up with several of our overseas past & present clients visiting the country & calling us to say hello & have a friendly drink. (be sure to call us or email if you are in the country & we will certainly join you for a cuppa or a drink).. Anyway we are looking forward to a great year with a great start so far. The JPP team would like to introduce & welcome Sam Lally to our fantastic team. Sam comes to us with a wealth of sales experience & fantastic knowledge of the areas we buy in. Sam is joining us as a Buyer Advocate & he will be working closely with the rest of our team. The autumn selling season is just starting to pick up pace with 832 properties reported as sold by the REIV last week. Volume is still very low and the first real test of the market will be February 20 in two weeks time. Anecdotally we have seen the huge surge of interest in property already. Every agent you talk to says they have huge numbers through open houses. The media is portraying property prices are "out of control" and that they are unsustainable. "Melbourne's property market is on track to produce similar heat to last year". "When will the bubble burst?" Most tabloid newspapers are simply looking for "sound bytes." The growth is sustainable!!!! And if your family does not purchase property soon it may be very difficult to get in the market over the next couple of decades. Our Reserve Bank Governor, Glen Stevens has spoken often of the lack of dwellings in Australia, coupled with the increasing population growth as being one of the major factors of rising property prices in Australia. His deputy, Ric Battellino, gave an assessment of the Australian economy's future prospects on 25 November 2009. In doing so, he reviewed the much-discussed ratio of house prices to household income. He surmised that most articles are written about the different ratios of Australian and North American house price to income ratio. He spoke of the huge differences in non housing costs to people in North America, in particular health care and the much lower gearing of loans in Australia. The amount of raw materials China will import from us over the next ten years will be greater than the total cumulative amounts they have taken in history. Our unemployment rates keep dropping. We are going to have to increase our population and whilst property investment remains at all time highs, nearly half of it is spend on refurbishment and alterations to existing dwellings. We need to build more houses!!! We are not sustaining supply!!! On the demand side, investors are not enamoured by the stock market at the moment. Over the last couple of years there seems to be one setback after another. The latest of course is the potential for a couple of European countries to be unable to pay their debts. This is driving investors to direct property investment in droves. Buying a property, renting it out, refinancing it to utilise its equity seems all very simple, but it is not. You need to have a goal that makes sense. You need to have a good team, starting with a financial planner, accountant and mortgage broker. And of course you need the best advice you can get regarding the actual property and how to purchase it. You need to use a professional buying advocate to assist you with your purchase. If you buy property without professional guidance in the most difficult property market in a decade then you might as well stick your money in the bank and let their fees and charges erode your savings. Without professional advice you will spend more time looking at the wrong properties, ones you cannot afford or cannot secure. Without professional advice you will most likely over pay. And without professional advice you will be most unlikely to win the negotiation battle. Have you noticed that people selling all hire professional real estate agents!! If you want to secure property in the Melbourne property market this year come in and have a chat to one of our advocates. The first meeting is complimentary and obligation free. Some of our recent sales, we can not list them all, we apologise to recent past clients if we have not got your home on here. Highly sought after for its period homes in leafy streets, with easy access to some of the best Private schools & Universities in Melbourne. Public Transport is available via 3 train lines Hawthorn, Glenferrie, Auburn. With the alternate availability of multiple tram routes with easy access to the Monash Freeway. The area was first settled in the late 1830s. And in driving through you will be sure to see the beautiful styles of housing from the past to the modest large mansions of the present. The area also houses many units & apartments making it a very mixed area of rentals & owner occupiers. Many mornings you will see all the regulars & visitors adorning the sidewalks of Glenferrie Rds fantastic shops & cafes / restaurants. With Hawthorns proximity to the CBD & neighbouring Suburbs including Camberwell, Kew, Richmond & Malvern will continue to make this one of Melbourne's premier suburbs. The prospect of moving into a new home and getting into the Melbourne market should be something to look forward to. If you’ve decided to employ the skills of a buyer advocate the process is relatively easy and stress free. However for those buyers that are going it alone, there are numerous risks associated with purchasing which may have been over looked in a fast moving market. Let’s look at a few things that can, and do go wrong, and see if we can increase the list of pre - purchase checks to reduce the chance of the dreaded white elephant scenario. I hate the saying 'buyer beware' because it is usually followed by a scare story focusing on creating a media headline. However a few situations and scenarios have crossed my path lately where buyers thought they had dotted i's and crossed the t's and yet still encountered problems that could have been avoided. Firstly location. There is a shortage of stock and high demand - affordability is limited especially for first home buyers. However sometimes a property comes onto the market which 'seems' well located and very well priced for what it offers. To the inexperienced eye it can look like a dream. Recently one such property was bought to my attention by a purchaser. The house in question had buyers flocking around it - it was located walking distance to a train station and in a good suburb for investment. Although in need of work, the asking price was 'cheap' in comparison to other similar properties in the area. On attending open for inspections I over heard comments of disbelief from other buyers - all of whom were hoping for a bargain and ready to make an offer on the spot. It seemed too good to be true, so where was the catch? Further investigation revealed the property was located in 'industrial zone 3' (despite the residential surrounds). Less clear however was the information showing it fell slap bang in the middle of a 'proposed' road route. Both points could be easily over looked by the inexperienced eye, and with other buyers flocking around it, the property looked like sale of the century! All of the implications regarding purchasing in an industrial zone can be found at Land.vic.gov.au. However in short, there is nothing what so ever stopping a brothel being built next door or a factory down the street. It's also worth noting the story of one first home buyer who has moved into this area and now in the process of having their home re-possessed by the government for the 'proposed road route' How very disappointing and disturbing to be launched back into the property market once again. Other less worrying, but equally frustrating stories come from dodgy building inspections. When organising a building inspection, I strongly advise going through the property with the building inspector and insisting that not only major issues are assessed, but also minor issues. I have heard of building inspectors taking as little as 15 minutes to do a full inspection on a full 3-4 bedroom house. Such a quick check may be OK for an experienced eye to pick up major issues, however the minor ones often get over looked, and it can be very disappointing to find yourself slapped with more expense once you move in and the mortgage payments start. Finally – the neighbour hood may look perfect and the other houses in the street may look well presented. But PLEASE PLEASE PLEASE if you are going to move into the property, drive down and 'case' out the area out at different times of day Check rush hour traffic, and more importantly, travel down when the neighbours are home and check noise levels. It's not uncommon for vendors who have bad neighbours to choose times to open their homes when the neighbours area at work and avoid evening inspections. Assessment of the area can bring up all sorts of issues you over look when you just concentrate on the piece of land for sale. There are of course numerous other issues that should be assessed prior to purchasing. Any buyer who feels nervous and insecure about the process should level the playing field and seek professional advice from a dedicated buyer advocate. Even though I work in the industry, I would still seek advice from my colleges before proceeding with a purchase. It is possible to enjoy the process of purchasing property, and should not be a stressful experience. House prices are at all time highs in most capitals after more buying in expensive suburbs drove the strongest annual price growth in seven years. The medium-to-long-term outlook for property prices remains strong as the population grows, incomes rise and demand for houses outstrips new supply, says an Australian Property Monitors' report. Despite a sluggish start, 2009 ended with the biggest price growth since 2003 on a rise in activity at the top end of the market, the APM December quarterly report released on Thursday says. Median national house prices rose 4.8 per cent in the December quarter, bringing the rise for 2009 to 12.1 per cent. Melbourne's prices jumped 18.5 per cent for the year, past the $500,000 mark for the first time. Next few months reads Toorak high end looses hundreds of thousands - (so someone sold a rubbish house at a price less than the neighbours who had a brilliant house on double the land size, - panic again!!!). Lets not sell our high end house, even though the Australian dollar is low & the interest rates are low & your comfortable in your job & you really want to be living in a nice luxurious house - lets wait for the next report. Next few months - First home buyers stopping investors!!! ( Ok the Government has allowed many first home buyers to get the opportunity to get into the market, many buying new homes which gave a boost to the building industry etc,), We can show better capital growth to investors is not in the new estates & homes, therefore the market was not unattainable to investors, just another headline grabber..
We have been flat chat 2009 & this year now & the market has moved along as it was predicted by us in late 2008, Link to 2008 comments we have continued to service our clients with great property at the right price, which has allowed them to be comfortable & confident in knowing & understanding the property market. Moral of my story is: Please don't always believe what you read or hear. And if it sounds too good to be true! - It usually is!!! Melbourne is a wonderful place to live, & a great place to invest, we can show statistics to prove past history etc, but the important thing is, when purchasing property, be sure you understand the market & trust the people helping you. This is one of the biggest financial decisions you will make, and making a mistake can be costly for many years. Who would have thought when our parents were paying $60,000 for property in the 80's that one day when we become first home buyers we may have to pay upwards of $600,000 for that same property. We complain that interest rates are increasing and property is becoming unaffordable but our parents were paying interest at 18% and 19% we are closer to 6%. Times have definitely changed and I think first home buyers mind sets may need to as well. With the new year showing no signs that property prices are going to do anything but go up those starting to get into property may need to readjust there expectations to something a little more realistic. There are always options for first home buyers and ways to get into the market you just may need to move out a few suburbs from your preferred area if you find you are being out priced, otherwise go for something a little smaller and work up. If you ideally want to be in Mentone, you may need to consider crossing the Mordialloc Bridge and heading towards Chelsea or Bonbeach - that extra 10 minutes could mean getting into the market versus always looking. Being a first home buyer there is no point to waiting for the elusive perfect property - sorry to burst the bubble but there is no such thing. Your first property should be nice and comfortable for you. It should have good rental prospects for the future and be in a good capital growth suburb. The first property you buy should turn into your first investment property when you decide you are ready to upgrade. In theory the aim should be to never sell. Areas I suggest to first home buyers differ to each person's situation. If you are living by yourself you could look at a one bedroom apartment of about 50sqm. With around $400,000 you should be able to be within 5 - 10km of the CBD. Suburbs like St Kilda East, Prahran, Northcote and Brunswick are all areas that have above average capital growth and are desirable places to rent. As a couple a one bedroom may be a little tight so you may need to look at a two bedroom flat under $500,000 in areas like Glen Huntly, Carnegie, Richmond, Northcote and Brunswick again well performing suburbs with good rental prospects. For those first home buyers looking for some land or at least a little more space than an apartment for under $500,000 you could look in Edithvale or Aspendale for a house on a smaller block or a large villa unit. For someone looking for a large block of land and that 3 bedroom house Sunshine can offer this or Berwick in the South East. The options on a little more land are further from the CBD and do have slightly lower capital growth but have plenty of value add options for the future. Through all of the suburbs above the main trend is a train line - capital growth and rental returns drop dramatically in areas that are not well accessed by transport in the sub $500,000 range. I have been in the shoes of a first home buyer and am well aware of the difficulty in making the life changing decision to purchase a first home; it is something that will set you up for the future. If you have would like to come in and have a no obligation meeting about buying your first home I would be more than happy to have a chat with you. The Real Estate Institute of Victoria’s December quarterly report shows that Geelong’s median house price rose $14,500 in the quarter. A gain of almost 5%. Newtown is spearheading the surge but home values across the Geelong and the coast were in full strong recovery mode. 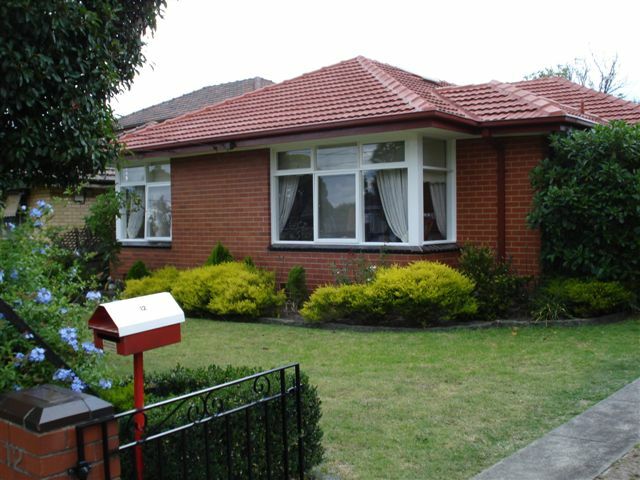 Median prices in Highton, Belmont, Ocean Grove and Grovedale also showed high gains. The economic conditions and population growth were contributing factors. It is generally accepted that Geelong’s property prices are still undervalued when compared to other cities. Some results may have been skewed by some high end property sales although homes in the $500,000 to $1.5million are still in demand. The best performing suburbs had gains in excess of 20% with Newtown a massive 46%. Will these suburbs continue to grow? The simple answer is yes but at a reduced rate. What does all this mean? The answer is in the numbers - Geelong is a good city in which to live or invest. For more information phone JPP Buyer Advocates. The REIV December quarter Property Update has revealed a new record high median house price of $540,500, an increase of 15 per cent from $470,000 in the September quarter. REIV CEO Enzo Raimondo said that it was the largest increase in the median house price since the REIV started keeping quarterly records. "In the December quarter of 2000 the median house price increased by 14.9 per cent and by 12.4 per cent in December quarter of 2007, compared to 15 per cent in the 2009 December quarter. "The combination of a better than expected economic conditions and strong population growth has resulted in an unprecedented level of pressure on housing costs in Melbourne. "The city's population is increasing by around 1,700 people per week and unfortunately housing construction has not responded as quickly as would be necessary to ease the pressure in the market. "The level of confidence in the market is apparent from the number of homes being bought and sold; the REIV has recorded an increase of 22 per cent since the 2008 December quarter. "This is highlighted by the strong growth in the middle of the market. The largest increases in median prices have occurred for homes priced between $500,000 and $900,000. "Burwood recorded the largest increase - 23.1 per cent - as the median increased from $658,000 to $810,000. It was followed by Ringwood, with a 16.2 per cent increase; Mount Evelyn, whose median increased by 16.1 per cent, and Brunswick, which now has a median of $724,250 after a 15.2 per cent increase. "Prices paid for units and apartments have also increased substantially, with a 7.6 per cent increase in the median from $410,000 in the September quarter to $441,000 in this quarter. "The suburbs with the largest increases in median price for units and apartments were East Melbourne, followed by Port Melbourne, Armadale, Caulfield North and Northcote. "House prices increased in key centres in regional Victoria as well. The median house price in the City of Ballarat increased by 7.3 per cent to $265,000; in Greater Bendigo by 4.3 per cent to $261,000; and in Greater Geelong by 4.4 per cent to $342,000,” Mr Raimondo concluded. As I have just bought a house and a mortgage can be kind of expensive, I will no longer be able to pay up to $110 for a Playstation 3 game...so I have decided to get into the retro gaming scene. The way I figured it, the old game systems and games would be cheap because the graphics and game play are outdated....but how wrong I was. Apparently older games and consoles are considered collectables now as there are only a limited number of them left which also makes them quite valuable. Take for example a Nintendo Entertainment System: Release in Japan in July 1983, US in 1985 and Aus in 1987 retailing for between $150US ($165AU) and $300US ($330.00AU)...(I could only find US prices) depending on what version you bought, a system which is now almost 30 years old will now sell on eBay for up to $400-$500AU if it is still in it's box and $100-$200AU for the console itself....that's as much as a brand new Wii or Xbox360 and much more that it originally cost, especially since the US gets consoles and games cheaper than here in Australia! There are so many old game consoles out there, you would have to take out a second mortgage to be able to afford them all (click here for a list) + a library of games to support them and sometimes the games can even cost more than the consoles themselves with the record being $17,500US paid for a NES cartridge (Article). 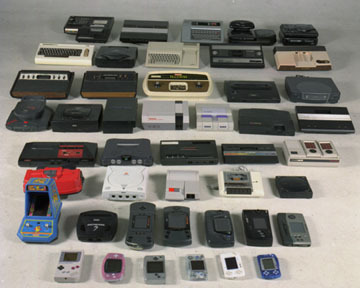 There is quite a large movement into retro gaming nowadays making it even harder to find certain items but thanks to the internet, you can at least see reviews of games so you can decide which ones to avoid, the generations who played those games are now running game review websites and have sections devoted to older games. and there are heaps of them such as: Classic Game Room, Angry Video Game Nerd (Warning: He uses some foul language) and Screwattack's Video Game Vault. Unfortunately, I sold a lot of my games and systems when I was younger because I wanted to move onto bigger and better things and now it is going to cost me a fortune to get it all back...but all is not lost, there are some places where these things will not cost the earth...I found two websites in Britain that seem to have a lot of the old systems and games in stock (some even brand new) and are not asking too much for them. The good thing about buying from Britain is that they use the PAL system just like Australia as opposed to the NTSC system used by the US, although you may have to get a power adapter. The websites are Retrogames & Console Passion, I have not purchased anything from Retrogames yet, but I did order Virtuacop 1 & 2 for the Sega Saturn from Console Passion and they work great. Of course there are always other methods to play older games like MAME (Multiple Arcade Machine Emulator) machines you can purchase that contain thousands of games, these are essentially arcade machines with PC's running inside of them or you can download emulators for your computer from the internet, but you must own the original game to be able to download the version for PC and it will never be the same as playing the original with the original controller. As soon as I can afford an old console I will do a review of it. 1. Preheat oven to 200 degrees. Lightly grease a fluted 3cm deep, 23cm (base), loose-base flan pan. 2. Line base and sides of flan with pastry. Trim excess. Line pastry with baking paper. Half-fill with dried beans or rice. Bake for 10 minutes. Remove paper and beans. Bake a further 10 minutes or until golden. 3. Heat oil in a frying pan over medium-high heat. Add onion and bacon. Cook for 3 minutes. Drain on paper towels. Cool. Sprinkle over pastry. Top with cheese. 4. Reduce oven temperature to 180 degrees. Whisk remaining ingredients and salt and pepper in a jug. Pour over bacon. Place onto tray. Bake for 30 to 35 minutes or until set. Stand for 5 minutes. Serve. 1. Practice making fax and modem noises. 2. Highlight irrelevant information in scientific papers and "cc:" them to your boss. 3. Make beeping noises when a large person backs up. 4. Invent nonsense computer jargon in conversations, and see if people play along to avoid the appearance of ignorance. 5. Erect an elaborate network of ropes in your backyard, and tell the neighbours you are a "spider person." 6. Finish all your sentences with the words "in accordance with the prophesy." 7. Wear a special hip holster for your remote control. 8. Do not add any inflection to the end of your sentences, producing awkward silences with the impression that you'll be saying more any moment. 9. Signal that a conversation is over by clamping your hands over your ears. 10. Disassemble your pen and "accidentally" flip the ink cartridge across the room. 2. A 2x4 is actually 1-1/2" x 3-1/2"
Q. What 5 letter word typed in all capital letters can be read the same upside down? Can you see the hidden tiger in this photo? Are your curtain and blind cords safe? Loose curtain and blind cords can strangle children. Keep them out of reach. Tragically, at least 15 Australian children have died in incidents related to curtain and blind cords since the early 1990s. Most recently, two Victorian infants died after being strangled by cords in August and September 2009.